With over forty years of experience, Al Brayton is recognized as one of the West's leading attorneys representing injured individuals and their families in all types of personal injury, products liability and mass tort litigation. He enjoys a national reputation as one of the foremost attorneys representing victims of asbestos-related disease and has represented clients from virtually every state. He has been recognized by the Consumer Attorneys of California for his particular experience as a Trial Lawyer in the areas of Products Liability and Professional Negligence. He has successfully tried and settled numerous cases involving victims of mesothelioma and other asbestos-related diseases, products liability, medical malpractice and personal injury, and has handled and argued cases involving a wide range of issues before the California Supreme Court and Courts of Appeal and various Federal Courts. Under his leadership, Brayton Purcell has become one of the premier trial firms in the United States. Born and raised in Northern California, Mr. Brayton graduated from Shasta High School in Redding, California, before attending the United States Air Force Academy in Colorado Springs, Colorado. He was commissioned a second lieutenant upon graduation, and spent the next twelve years on active duty in the USAF, serving in a variety of jobs both in the United States and overseas, including seven years as a Judge Advocate and two years as Staff Judge Advocate for Air Forces Iceland. Upon leaving the Air Force he entered private practice in Novato, California, concentrating initially on asbestos litigation and aviation cases. Early in his career, Mr. Brayton won one of the first asbestos cases ever tried in San Francisco Superior Court, and he successfully tried the first asbestos case in Solano County. He has been instrumental in the development of case management orders that govern the conduct of asbestos litigation in various counties throughout the State of California. Although most of his time is currently dedicated to asbestos litigation, he also has extensive experience in defective medical device litigation and other toxic tort litigation. He has served as Plaintiffs' Statewide Coordinating Counsel in California cases involving defective Temporomandibular Joint (TMJ) implants, served as plaintiffs' co-counsel in Hawaii TMJ litigation, and has served on the TMJ Plaintiffs' Steering Committee in the nationwide Multidistrict Litigation (MDL) "In Re TMJ Implants Products Liability Litigation." He has negotiated key settlements in cases involving beryllium exposure and beryllium lung disease in plant worker and end-user cases across the United States. He has also served as lead counsel and settled various consumer class actions involving a wide range of problems ranging from altered medical vaccines to rent control abuses. He has extensive experience working with asbestos Bankruptcy Trusts, and currently serves as Chair of the Trust Advisory Committee on a number of Trusts involved in providing compensation for current and future asbestos victims. He served as Co-Chair of the Unsecured Creditor's Committee in the Chrysler Bankruptcy, and was appointed by the Bankruptcy Court to serve as Litigation Manager for litigation stemming from this bankruptcy. In addition to supervising the firm and working as a trial lawyer, Mr. Brayton has served on the Board of Governors of the Consumer Attorneys of California and reviews and comments on proposed legislation that affects consumer rights and access to the justice system. He has testified before Congress on behalf of asbestos victims to oppose industry efforts to relax stringent asbestos control standards and has been an invited speaker at a symposium on asbestos-related disease sponsored by the University of California at San Francisco Medical School. He also has been an invited speaker at numerous legal conferences on topics involving asbestos litigation, bankruptcy and trial advocacy. Mr. Brayton is an active member of and Past President of the Public Justice Foundation, a nonprofit organization that supports Public Justice, a national public interest law firm dedicated to protecting people, the environment and access to the courts. Mr. Brayton continues his involvement by serving on the organization's Board of Directors and Case Evaluation Committee. An active member of the American Bar Association, Mr. Brayton has held various leadership positions in the Tort Trial & Insurance Practice Section. He has served as the Chair of the Plaintiffs' Involvement Task Force and on the Task Force on Strategic Alliances as well as various committees, and has served on the Section's Leadership Council. He has also served as Co-Chair of the ABA Asbestos Task Force and as a mentor and Course Director/Dean of the Section's National Trial Academy. He is a member of the American Association for Justice, Consumer Attorneys of California, the Marin County Trial Lawyers Association, the San Francisco County Trial Lawyers Association, and the Marin County Bar Association. He is a Master in the American Inns of Court. Since August of 2014, Mr. Brayton has served on the Board of Directors for the Bay Area Legal Aid (BayLegal). In 2012 he was appointed to the National Judicial College's Board of Trustees and currently serves as Treasurer of the organization. In support of the local community, he serves on the Board of Directors for the Lifehouse Agency and on the Advisory Board of the North Bay Children’s Center. 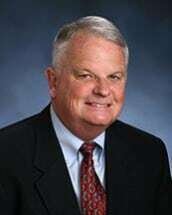 Mr. Brayton is admitted to the California Bar (1977), the United States Supreme Court, the U.S. Court of Appeals, Ninth and Third Circuits, U.S. District Courts, Northern and Eastern Districts of California and Hawaii and the Court of Military Appeals. He is rated "AV Preeminent" by Martindale-Hubbell, a rating that indicates that he has practiced law for many years and has achieved the highest level of skill and integrity, and has consistently been selected as a Northern California Super Lawyer.